In 2005, Congress changed the Bankruptcy Code in ways that made it harder for people to qualify for Chapter 7 bankruptcy. However, even if you don’t qualify for Chapter 7, you are likely still eligible to file a Chapter 13 bankruptcy. In fact, depending upon your particular situation, it may be better for you to file Chapter 13 than Chapter 7. Read on for more information about how Chapter 13 can help you find effective, lasting debt relief. For immediate assistance or to find out which type of bankruptcy is right for you, call the Law Offices of Stephen Orchard in Boca Raton at 561-455-7961. Chapter 13 is commonly known as a debt adjustment or wage earner’s plan, and for good reason. Rather than simply wipe out your debts, a Chapter 13 adjusts your debts – discharging some and lowering others – and comes up with an overall payment plan that enables you to pay off your creditors with one monthly payment over a three or five year period. If you have a steady job and enough disposable income to contribute to a monthly payment plan, Chapter 13 may be right for you. Although it does not “wipe the slate clean” like a Chapter 7, Chapter 13 is easier to qualify for than a Chapter 7. A Chapter 13 is also easier on your credit report than a Chapter 7, and you don’t have to worry about losing any assets in a Chapter 13 proceeding. If you have a regular income, and if your debts are mostly tied to secured assets, such as a home, car, furniture or appliances, a Chapter 13 may be the road to achieving financial freedom and responsibility over a relatively short period of time. One of the most powerful features of Chapter 13 bankruptcy is its ability to save your home from foreclosure. Missed mortgage payments can be rolled into your debt adjustment plan and amortized over a three or five year period, enabling you to catch up on your mortgage comfortably and curing the default, so that the bank cannot foreclose. Also, if your home is burdened with a second (or third) mortgage, but you are under water or upside down on your first mortgage, meaning you owe more to the bank than your home is worth, a Chapter 13 bankruptcy judge or trustee can strip away that second mortgage, or cram down your first mortgage to where the balance you owe is more in line with what your home is actually worth on the market. If you are currently in default on your mortgage, a Chapter 13 bankruptcy is only one option which may be available to you. The Law Offices of Stephen Orchard practices both bankruptcy and real estate law. Attorney Stephen Orchard can look at your situation and determine whether you may have valid defenses to a foreclosure action. If so, we will provide strong advocacy and defense against a judicial foreclosure in the Florida courts. To determine whether Chapter 13 bankruptcy is right for you, or to explore your options for moving toward financial freedom, call the Law Offices of Stephen Orchard in Boca Raton at 561-455-7961. 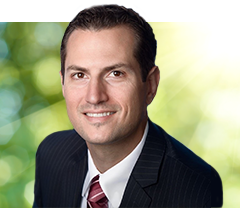 Stephen Orchard is the founder and principal attorney at the Law Offices of Stephen Orchard in Boca Raton, serving clients from West Palm Beach to Broward County in the areas of bankruptcy and real estate law. © 2016 - 2019 Law Offices of Stephen Orchard. All rights reserved.